I didn't see a thread for Mixels, and greatly appreciate the General threads. The most recent discussion thread was about Series 6. 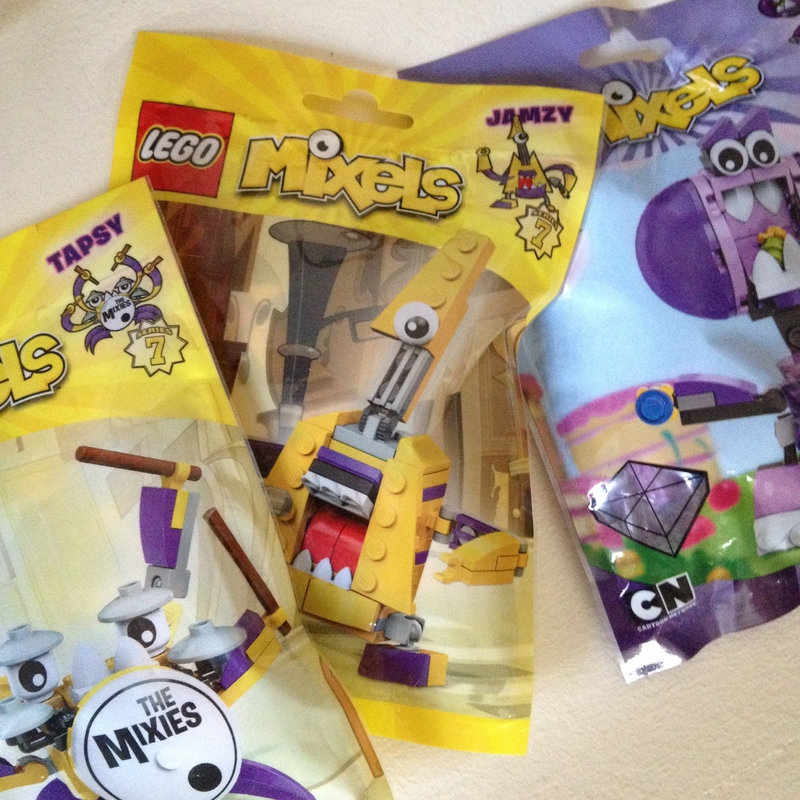 My daughter and I discovered Series 7 Mixels (scheduled release: February 2016) at the local Fred Meyer two nights ago, and she chose the Medivals as the first 3 that we would purchase. These are probably better as parts packs than characters on their own. I suspect that Camillot will be a very popular buy for parts collectors, as it had 4X black stud with hole in it and 2X metallic dark grey cone, among other great parts. One thing surprised me: the Nixel which came with Paladum has a weapon! When I got to the end of the Mixel build, I thought I had missed a piece and it turned out to belong to the Nixel. There's also apparently a Nixel with stars in his eyes (I assume that one comes with the MCPD family). ￼Should be a fun thread.The star struck nixel is from the mixies tribe. I thought it was weird that in the manual you can use the ￼spear for paladum, too. Apparently he's the pet of Camillot, which I think is a first. Usually they're just equals. I have been assuming that the Nixel for the MCPD comes with Busto, since he is a prison cell who cal hold a Nixel. Is this right and which of the Mixies comes with the star struck one? I'm fairly certain that we will own all of these in a rather short time, but I have noticed that the Nixel containing packs sell out faster than the others (tend to be the most popular). This is certainly true of the partial Series 6 and Series 5 boxes in the area around my house. Busto does indeed come with one and Jamzy the guitar looking guy gets the happy nixel. I haven't seen a happy one before lol guess they get hypnotized by music or something. I remember it being mentioned somewhere that from series 7 on Germany won't be getting Mixels, does anyone know if it is just Germany or all of Europe? dunno, but I've never seen them in shops anyway. Seems the Mixels are getting a price rise in Australia, they were AU$5.99, series 7 Mixels are shown as AU$6.99. Found Series 8 today! I picked up the 3 MCFD guys. I saw series 9 already at Fred Meyers! I recently bought my first Mixels. I admit that when I came out of my dark ages (last year) I discarded Mixels without really paying close attention to them; they just looked "weird". That was until a couple of weeks ago when I noticed #41561 Tapsy... it reminded me of The Beatles (go figure), so I grabbed it. It was then that I noticed the "music" theme so I grabbed the other two. Upon research here in Brickset I found the pirates and castle Mixels - bought them. Now I am looking forward for the ninjas in Series 9. Found about 10 series 2 in a local newsagents this week! Considering whether to buy them or not. @caterham7 sure, if they are heavily discounted. They are phenomenal parts packs. The Frosticons and Fang Gang look good. Don't care for the Flexes though. Think the majority were Flexers, with a couple of Fang Gang and one Frosticon. Guess they could have more out the back waiting to go out. No price on hanging rail, I'm assuming £3 each. I have never seen mixels for sale anywhere. if ever I get a chance I may get the mimic, I think that could work with regular pirate sets. 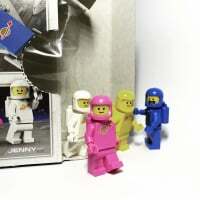 Series 7 was 20% last week at the LEGO store; at least here in the USA. hum yeah, wanted to say, never seen shops sell them. Not found any new ones locally yet, but hoping for joy tomorrow. I got some series 3 and 4 ones at the Lego store last year for $0.99 each. Found the complete Series 4 (all 9 of them) at Target today... not on sale. They still ended up in here... at home... in my backlog... stupid Mixels! The new ones are the first series I've wanted all nine of...there's a lot of love for Mixels in this house. Just got the whole series in WHSmith here in Felixstowe.. 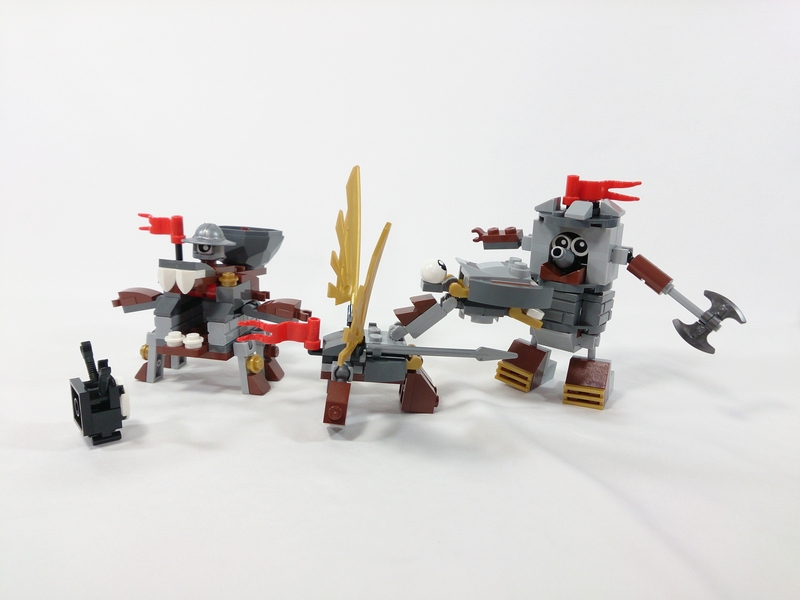 Anybody know which Mixels get the Nixels? So far, I've only picked up the MCFD and there it was Splasho (the Fire Hydrant). The other two are with Skrubz and Skulzy. I can not figure out why every Mixel bag has a see through rectangle box in the corner with criss cross lines through it. I believe it's a cubit, which Mixels use to combine. And yet, only one Model has actually come with a cubit! I'm not as impressed with Series 8, so far. I've still only bought the three MCFD characters, but 'll probably watch some videos to see if the others can catch my interest. My daughter convinced me to buy the Munchos from Series 6 and they're some of the best Mixels I've seen design wise (both individually and as a Maxel). But Series 9 looks amazing. Especially the Nindjas. It looks like all of them have turntables to allow them to spin fight. Aren't the MCFD series 7? I grabbed all of the medieval Mixels from that series, had some great parts, as for series 8, I'm aiming to get all the dental & pirate themed ones, again some cool parts. I want to know how many orange ingots that the ninjas have, likely to be grabbing a few of any that have them, great material for backdrops for the Space Miner CMFs. I love the new teeth pieces, and definitely looking forward to additional colors of those! MCPD was s7, MCFD is s8. @TheOriginalSimonB, my bad, it didn't register, even when I typed it out myself, MCFD, not MCPD... Of course firefighter Mixels, MCFD, ehhh... Can see now why some Fire Departments over in the States put the FD before the city, as in FDNY. Unless I have missed it, is there any news that the Mixels are continuing into 2017? The past 2 years we got images at comic con but not this year. Nor have I seen a set list for the next year. My daughter and I are eagerly awaiting the Nindjas. Most Mixels, we buy, build, and then part out. But those seem like a team that I wouldn't mind buying duplicates and expanding out on. I'd be quite surprised if Mixels did not carry through, they are very popular sellers - even though they seem to be unpopular on these boards. 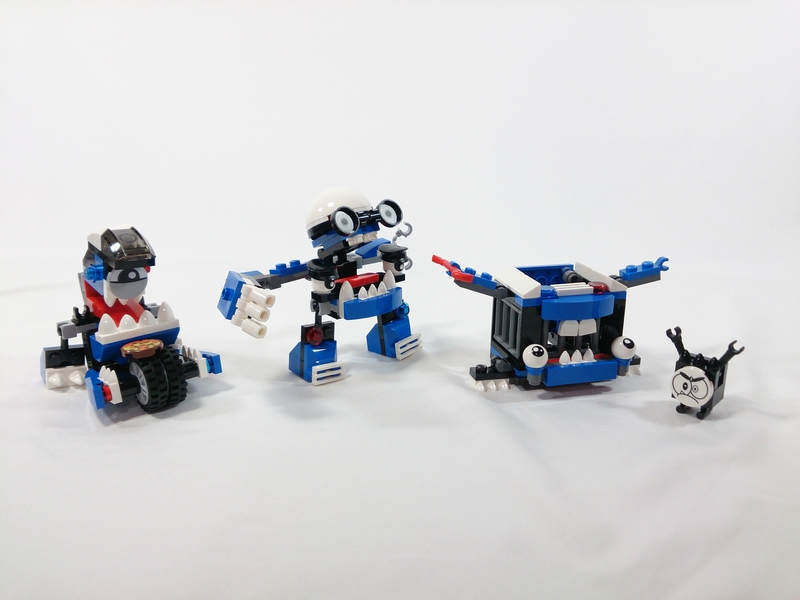 Last year, I didn't see anything about the 2016 Mixels until we had images of all 3 series for the year (each year seems to be developed as a whole, but released in 3 waves). The lack of Mixels at Comic-Con may just be because Cartoon Network wanted LEGO to focus on promoting the LEGO Ideas Adventure Time set at their booth instead. I guess time will tell. Unfortunately, since we last updated this thread it has been confirmed that Mixels are no more. Series 9 is the final series. So 81 total Mixels released, not bad for a run. I am hopeful that the series is replaced by a new $5 parts pack theme. 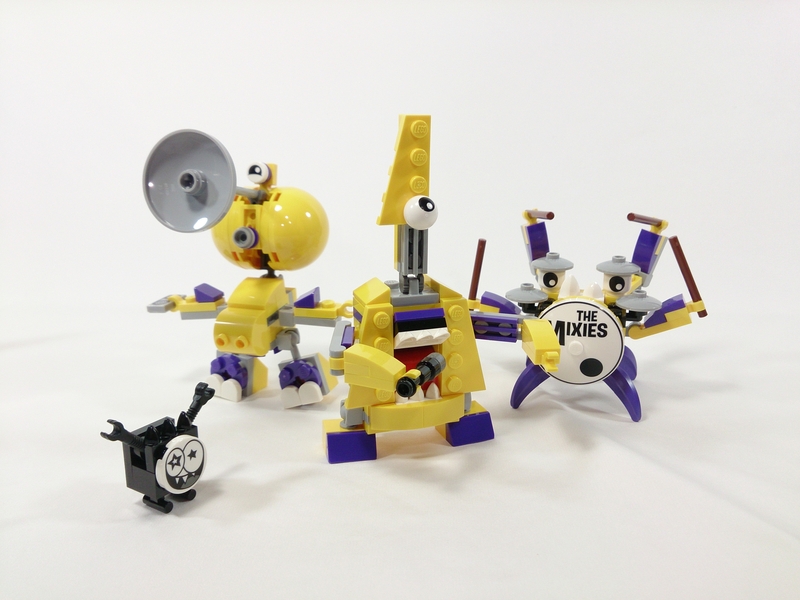 I only have the music Mixels, but I want to get two sets of the Nindjas. I haven't managed to find series 9 in the UK yet other than direct from Lego. Does anyone know if these are being released anywhere else in the U.K. or have I missed out ? I was just wondering the same thing as I haven't seen them either. The last few series have been really slow to turn up here. They are released on 1st November. So even [email protected] are not delivering them yet.